They may not be the first thing you think of when you’re planning a vacation, but there’s no doubt that many signs around the world have become tourist attractions in their own right. Immortalized in countless movies and photographs, these iconic displays are known across the globe not just because of the popularity of the places they represent, but also for their eye-catching colors, shapes, sizes and designs. Below we’ve listed a few signs that are worth the trip, especially if you happen to be visiting other sites in the area. Take a look at what makes each sign so special and, if you’re a business owner with your own signage needs, keep those ideas in mind as you start the creation process! Made up of huge 45-ft. metal letters, this classic sign sits high on Mt. Lee in Los Angeles, California, overlooking its namesake. First built in 1923, when it originally spelled out HOLLYWOODLAND, the years have not been kind to this symbol of glamour, which needed several extensive restorations due to both vandalism and natural deterioration. 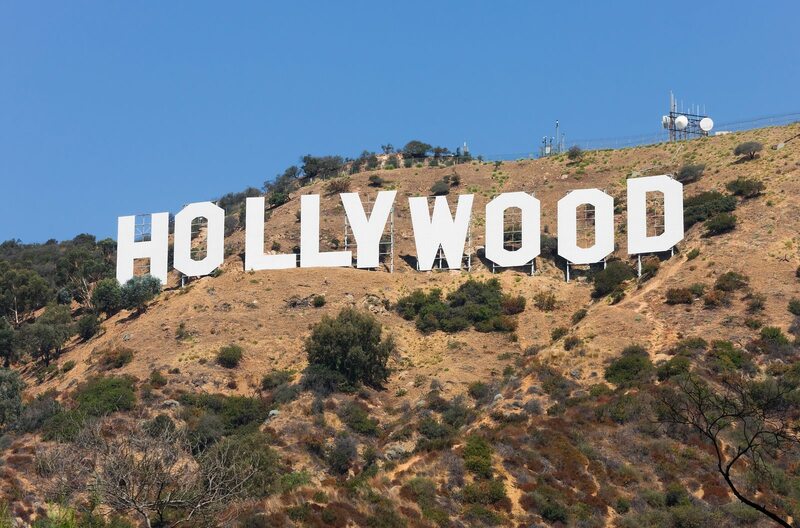 Still, the Hollywood sign has stood the test of time, despite being virtually destroyed in several popular disaster movies like 1996’s Independence Day and 2004’s The Day After Tomorrow. It’s simple yet effective design of oversized, freestanding white block letters is instantly recognizable and has been copied and parodied in smaller formats by many other cities around the world. 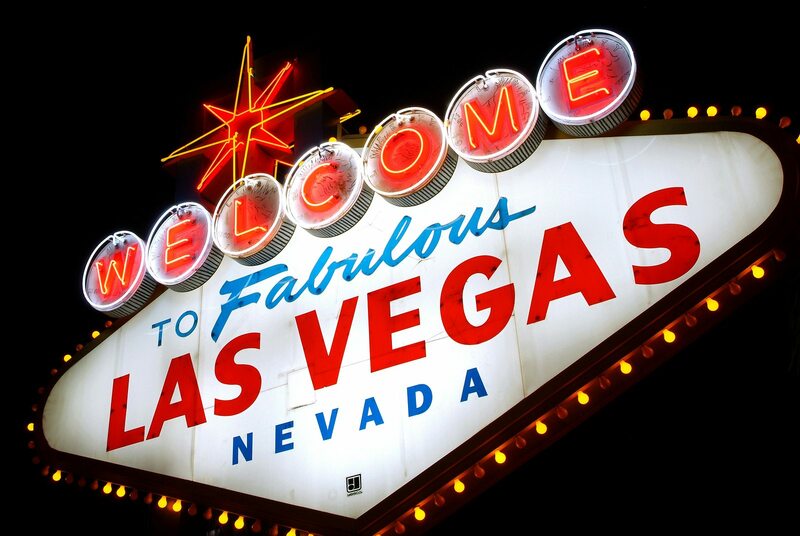 Another sign representing an iconic American city, “Welcome to Fabulous Las Vegas” greets visitors at the southern side of the Las Vegas strip, the infamous boulevard lined with colorful casinos, exclusive nightclubs and fancy restaurants. With a design that clearly calls to mind a specific era of advertisements past, this sign was erected in 1959 by Western Neon, who used a variety of materials including neon, plastic and incandescent bulbs to achieve a look that certainly grabs attention. Featuring a distinctive star shape on top and a backside message asking those leaving the strip to “Drive Carefully” and “Come Back Soon”, the Las Vegas sign has also been featured in plenty of movies and television series. 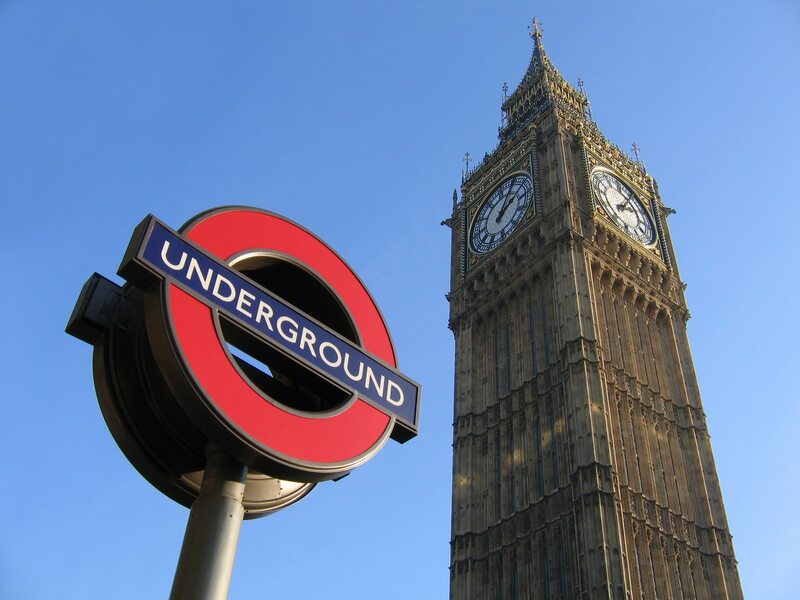 You can’t visit London without a ride on the tube! London’s subway system has a distinctive logo, first used as early as 1908, with a simple graphic design in Britain’s national colors of white, red and blue. These circular signs mark stations across the city and are so popular and distinctive they’ve also been used to designate bus stops, railways and trolley stations at different times throughout history. Perhaps the most easily recognizable transportation-related sign in the world, it was developed not by a sign company or advertising agency, but by transportation administrator Frank Pick. 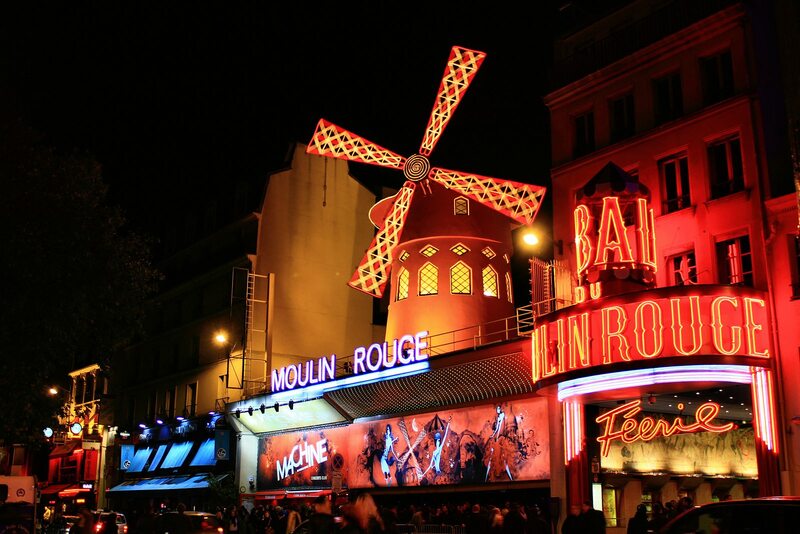 Our final stop is Paris’s Moulin Rouge, the famed cabaret club and namesake of a 2001 musical film starring Nicole Kidman and Ewan MacGregor. In addition to the bright neon letters spelling out its name in two different scripts, the club is also topped with a large, lighted windmill, a nod to the location’s past as a small countryside village where bread was made. The beautiful, intricate sign is purely decorative, but does spin much like a real windmill, inviting Paris’s many visitors to the popular tourist attraction.